The Wild Atlantic Way ( WAW ) is the world’s longest defined coastal touring route. The stunning 2,500 km of coastline offers breathtaking scenery, invigorating sea swells, gastronomic gems and a warm welcoming atmosphere. It is also home to some of the greatest golf courses on the planet. The Wild Atlantic Way is blessed with over 40 golf courses, a combination of world famous links classics and hidden gems .. not to mention beautiful parkland courses. 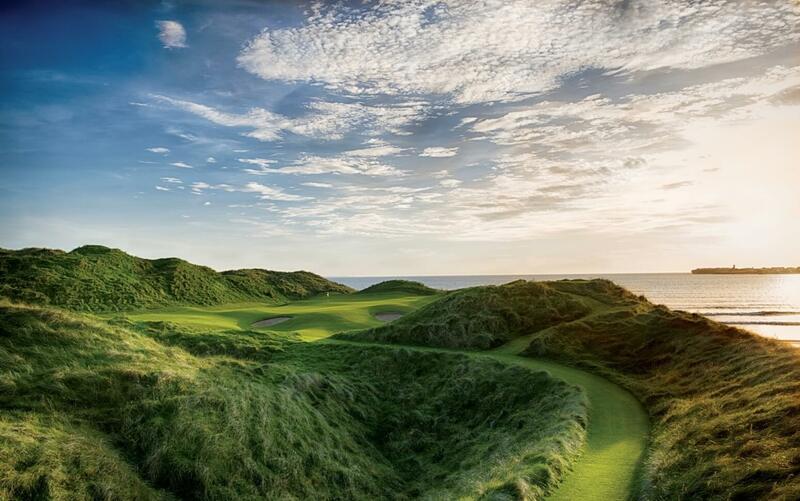 The ‘Golf Digest Volvo Top 100 courses in Ireland’ was recently published. Once again links golf courses on the Wild Atlantic Way dominate the top 25. In fact 15 of the best 25 courses in Ireland are dotted along the Wild Atlantic Way. Driving North from the Old Head Golf Links in Cork to the Ballyliffin Golf Club in Donegal, you will encounter countless classics on your trip as you pass through Kerry, Clare, Galway, Mayo and Sligo. The WAW is littered with golfing gems which offer golf at its best and jaw dropping scenery. Evergreen top 10 courses such as; Lahinch, Waterville, Tralee and Ballybunion, are joined this year by the Glashedy Golf course at Ballyliffin, host of the 2018 Dubai Duty Free Irish Open. Also featuring in the top 25 are; County Sligo, Enniscrone, Old Head, Carne, Ballyliffin Old Course, Doonbeg, Donegal, Portsalon, Dooks and Rosapenna Sandy Hills. The Volvo-sponsored list was drawn up by “a panel of industry experts and a second panel of 80 readers” who “spent months visiting golf courses throughout the island of Ireland,” the magazine said in a press release. 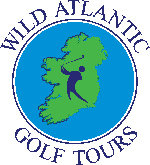 Wild Atlantic Golf Tours have a number of tours focused specifically on the WAW. We have compiled a listing of the best 18 golf holes on the WAW and designed a number of tours around these golf courses. All 18 golf courses feature on the Golf Digest listing. For further information on tours and how to include these courses in your golfing itinerary, please contact info@wagt.ie or visit our website for suggested golf trips at www.WildAtlanticGolfTours.com .